That's neat! Progress is good.. very good. Have a great day FG! 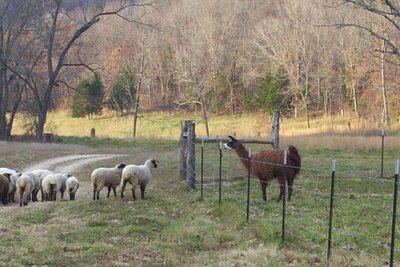 So, what's the next step in this llama/sheep plan? 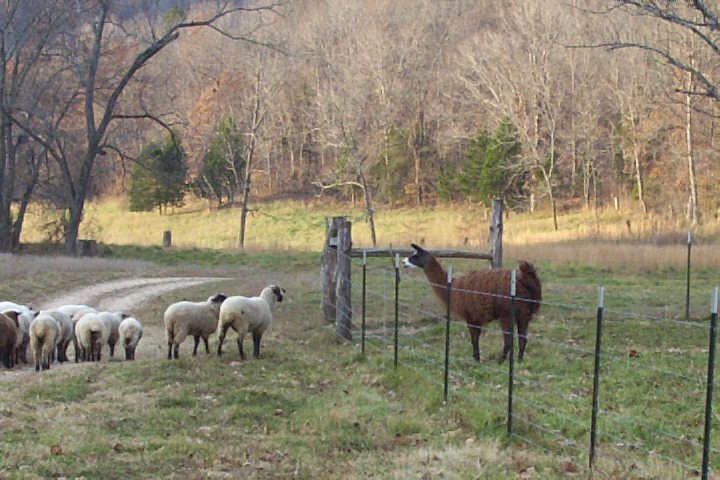 Do the sheep go into the llama pen, or do you let the llamas out? Jeez! It's that danned llama again! how do you host your pictures, so that they look so nice with frames and everything? Yes, progress is very good. Hopefully I'll be hugging a llama soon! The next step in the llama/sheep plan? We're still working on that. Don't know yet. But you can be sure there will be pictures! It´s on danish, but you can enjoy pictures. I love reading about you farmlife! Noticed that you like Shawn Colvin, I do too! Do you know Jonatha Brooke? Shes my favorite singer.